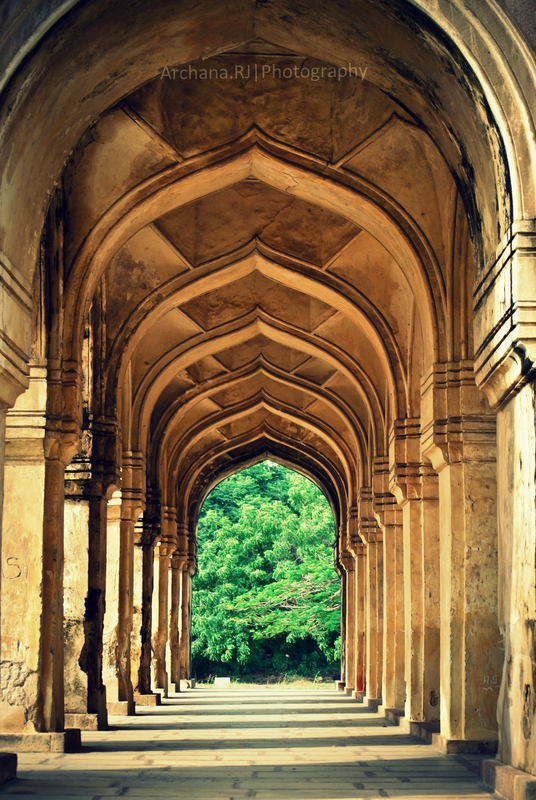 The famous tombs of the seven Qutub Shahi rulers in the Ibrahim Bagh (garden prcent) are located close to the famous GolkondaFort. Sultan Quli Qutub ul Mulk‘s tomb, the style of which sets the example for the tombs of his descendants, is on an elevated terrace measuring 30 meters in each direction. The tomb chamber proper is octagonal, with each side measuring around 10 meters. The entire structure is crowned by a circular dome. There are three graves in this tomb chamber and twenty-one laid out on the surrounding terrace, all of which lack inscription except for the main tomb. The inscription on Sultan Quli’s tomb is in three bands, in the Naskh and Tauq scripts. 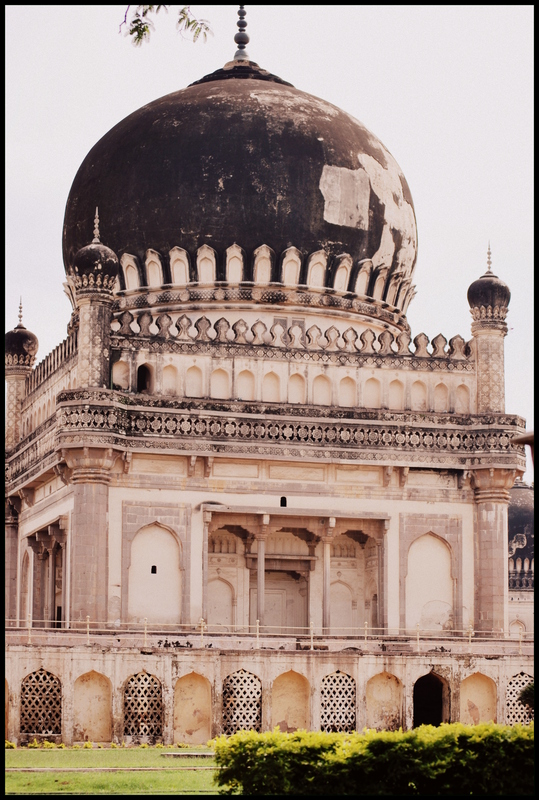 The inscription refers to Sultan Quli as Bade Malik (Great Master) — the endearing term by which all people of the Deccan used for him. 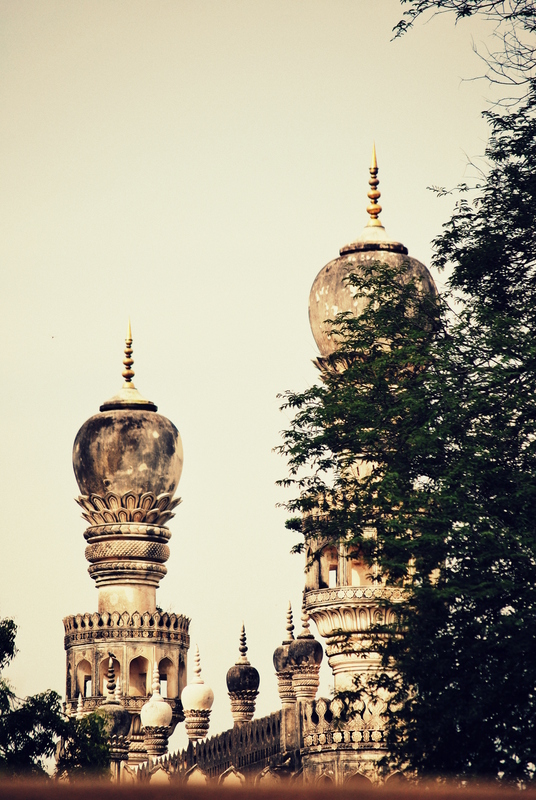 The tomb was built in 1543 A.D. by the Sultan, during his lifetime, as was the custom.